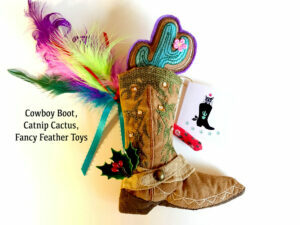 Pawsome pompom toys! 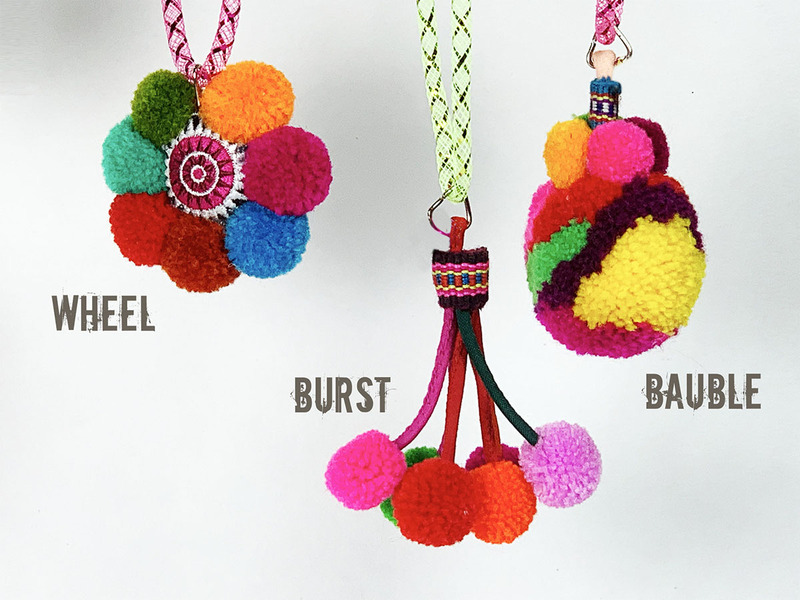 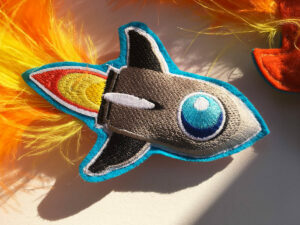 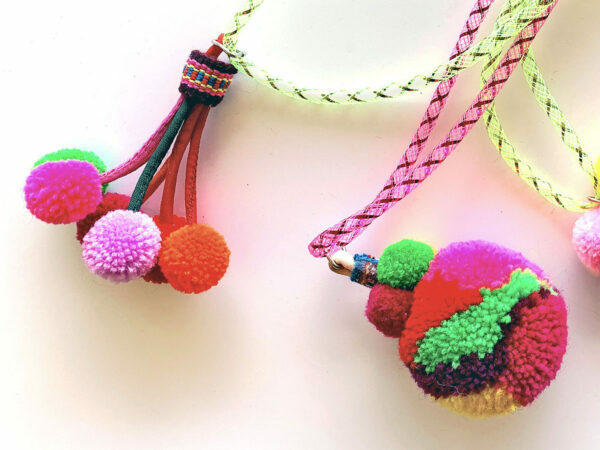 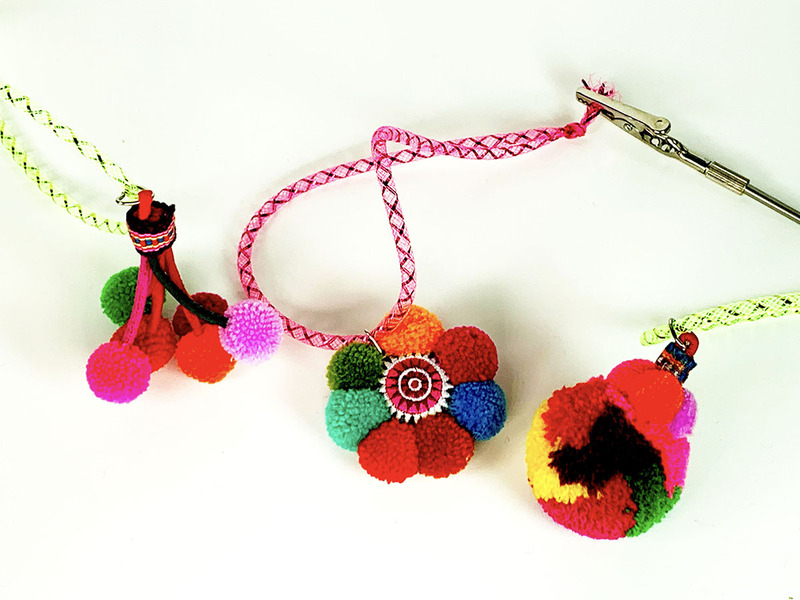 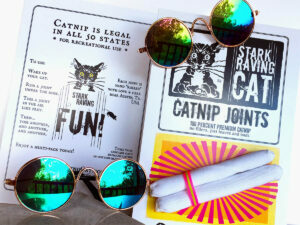 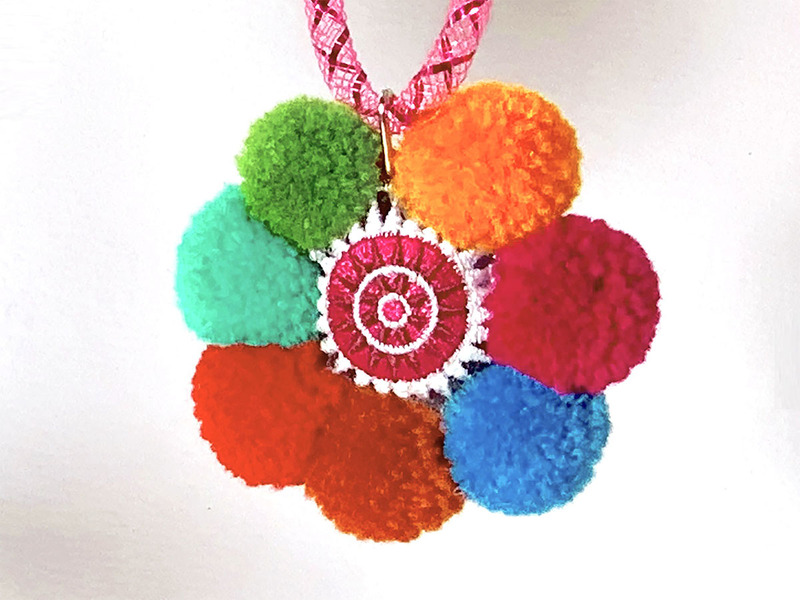 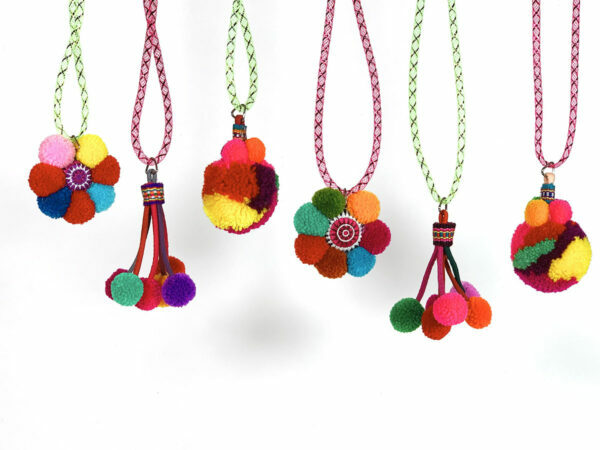 A Burst, a Bauble and a Wheel: a trio of colorful cat toys, handmade from Thai pompoms. 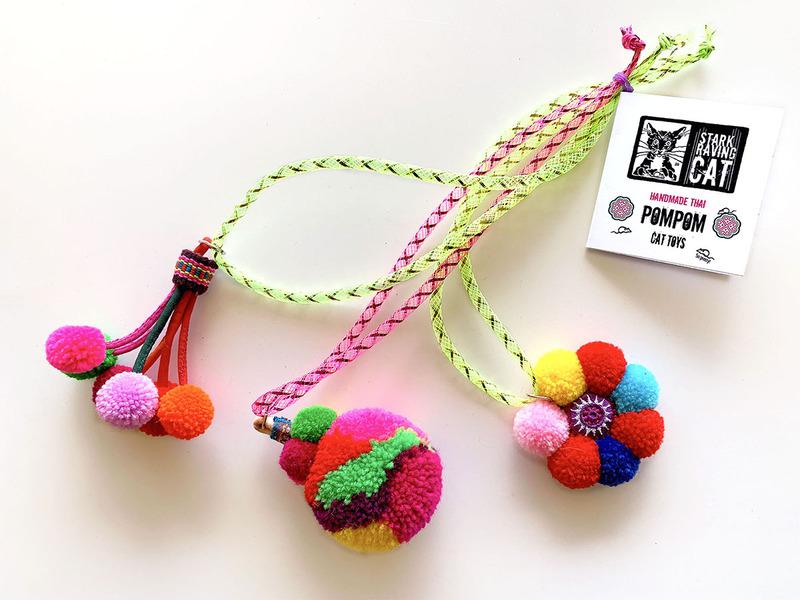 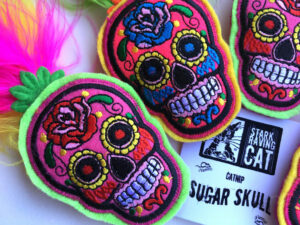 Toss these pompom toys across the floor or swing them on a cord (each has a loop). 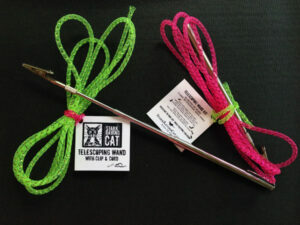 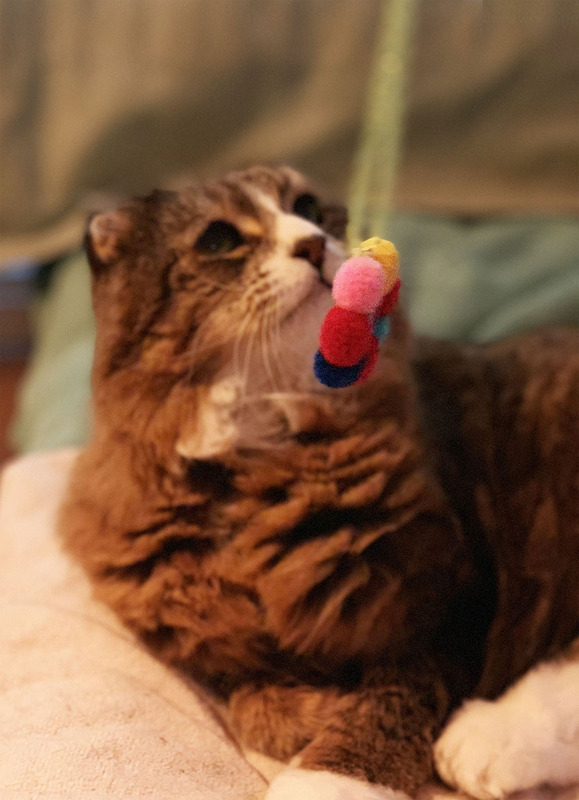 For even more fun, opt for a Telescoping Wand – clip the end of the wand to the cord and swing the toy just within kitty’s reach. 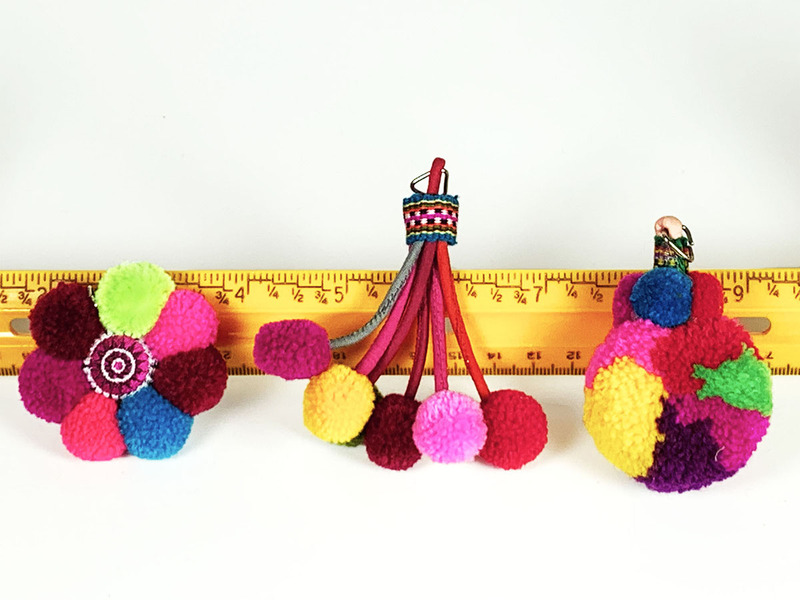 • The Wheel – 7 tiny pompoms around an embroidered center. Toss the wheel just right, and it will roll across a hard floor. 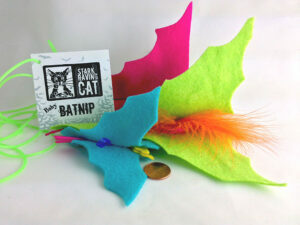 Purchase singly or save on a Trio. 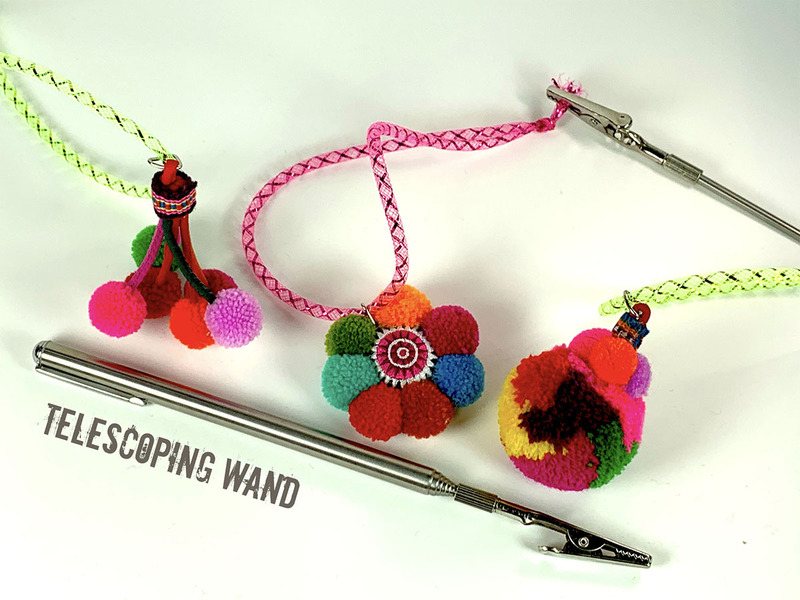 Each piece has a cloth loop sewn into the toy, and attached to it, a metal loop (which is easily removable if you prefer). 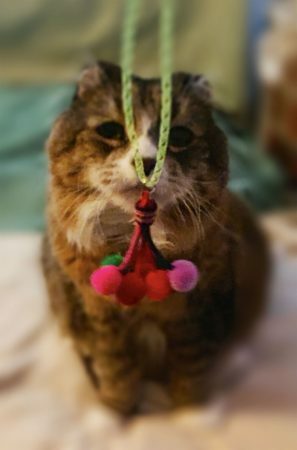 Note: These pompom toys do *not* contain catnip.